Bullying is when one person hurts, harms or is mean to another person over and over again. Some bullies may be mean by repeatedly tripping, hitting or pushing someone, while other bullies may leave a person out or not invite them to join games or group activities. Other bullies may send mean messages through text or social media over and over again. Twenty-two percent of 12-to 18-year-old students report being bullied during the school year, but only 64 percent of young people who are bullied report it, according to the 2013 School Crime Supplement to the National Crime Victimization Survey. Young people may be bullied for a variety of reasons, including their physical appearance, sexual orientation, gender identity, race, religion or social status. Young people who are bullied may be more likely to have problems in school or experience sleep difficulty, anxiety or depression. 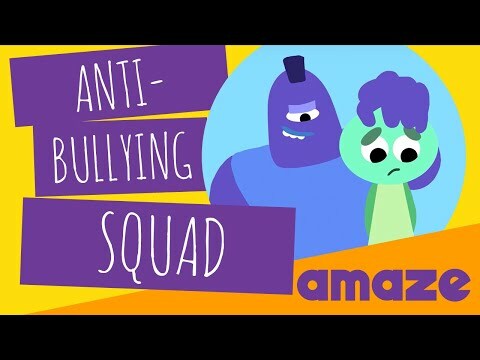 Young people have a unique power to prevent bullying. Some research estimates that 57 percent of bullying situations stop when a peer intervenes on behalf of a person who is being bullied. Parents and guardians can encourage their children to be upstanders by speaking up when someone is being bullied, refusing to share harmful messages about their peers and reporting bullying when they witness it. Talk with your child about bullying, so they know they can come to you for help if they or their friends are being bullied. If you hear about someone who is being bullied or is bullying other kids, broach the topic with your child while in the car. “I heard Alice was sending messages that weren’t very nice to another kid at school. Did you hear about this?” This is just one way to begin the conversation. You can talk about how hurtful bullying is and how some people bully others to make themselves feel powerful. By asking what your child thinks about this, you can find out if they have experienced bullying and how they would handle it. This is also a good time to reassure your child that they can come to you if they are bullied. Twenty-two percent of 12-to 18-year-old students report being bullied during the school year, but only 64 percent of young people who are bullied report it, according to the 2013 School Crime Supplement to the National Crime Victimization Survey. Students may be bullied for a variety of reasons, including their physical appearance, sexual orientation, gender identity, race, religion or social status. Young people who are bullied may be more likely to have problems in school or experience sleep difficulty, anxiety or depression. Young people have a unique power to prevent bullying. Some research estimates that 57 percent of bullying situations stop when a peer intervenes on behalf of a person who is being bullied. Educators can encourage their students to be upstanders by speaking up when someone is being bullied, refusing to share harmful messages about their peers and reporting bullying when they witness it. Talk with your students about bullying, so they know they can come to you for help if they or their friends are being bullied.